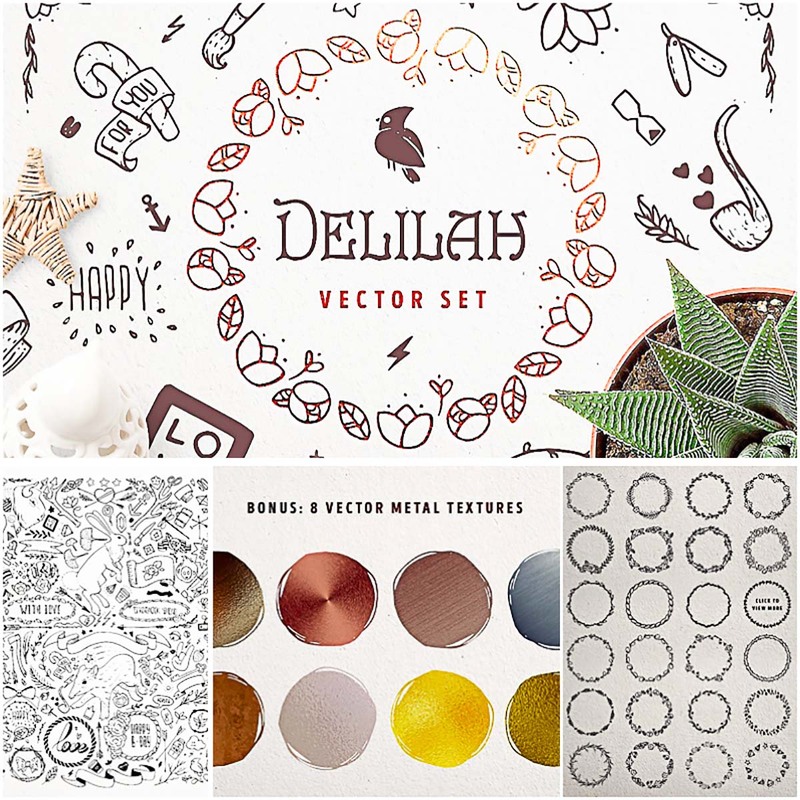 Introducing new decorative toolkit, the Delilah Vector Set. 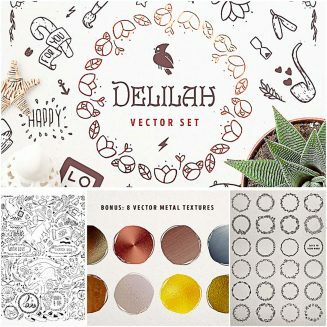 It’s a creative collection of vector graphics including pre-made frames, animal illustrations, floral and berries, ribbons and many other decorative elements. File format: .psd, .ai, .eps for Photoshop or other software. Tags: berry, circle logo, doodle, flower, foli, sketch, texture, wreath.